North Korean Foreign Minister Ri Yong-ho has asked UN Secretary-General António Guterres to "completely stop the U.S. from provoking a nuclear war," the official [North] Korean Central News Agency reported Thursday. Ri in a letter on Wednesday asked Guterres to put the issue on the agenda for a session of the UN Security Council. The letter comes at a time when Washington is giving increasingly serious thought to a "bloody nose" strike against the North Korean regime. The U.S. is "seeking to intentionally aggravate the situation by introducing the strategic assets including nuclear powered aircraft carrier strike groups into the vicinity of the Korean Peninsula," Ri was quoted as saying. "The United States is openly stating that it will conduct a large-scale aggressive joint military exercise against the [North] immediately after the Winter Olympic Games." Ri added the U.S. cannot shirk responsibility for shattering the atmosphere of improving inter-Korean relations and easing tension. The nuclear-powered U.S. aircraft carrier Carl Vinson arrived in Guam recently, while two F-22 stealth fighter jets from the U.S. arrived at Kadena Air Base in Okinawa, according to Japan's Jiji Press. The U.S. has brought three B-2 and six B-52 long-range strategic bombers to Guam last month. The North Korean regime, meanwhile, is preparing for a massive military parade on the eve of the Winter Olympics in Pyeongchang. 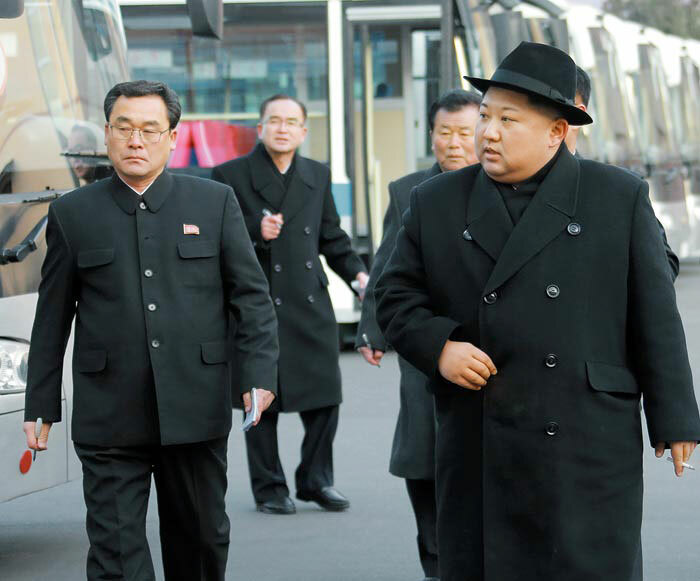 North Korean leader Kim Jong-un inspected a trolley bus plant near Pyongyang on Thursday. Normally he keeps away from the capital at this time of year, but South Korea and the U.S. have postponed joint annual exercises until after the Olympics, so presumably he feels safe.